Eliminate clutter and provide some comfortable seating while removing muddy shoes or boots. 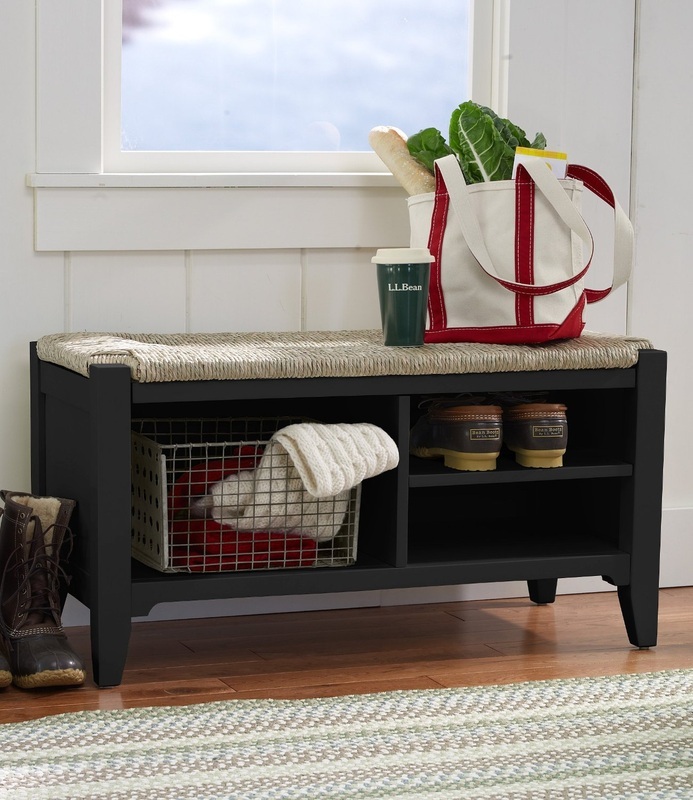 Mudroom benches come in wide variety of styles, sizes and finishes. 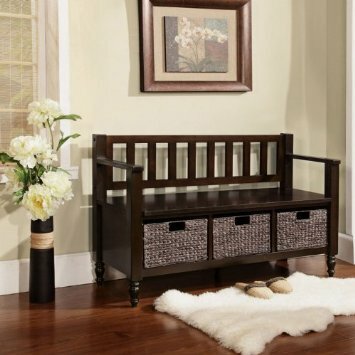 Depending on what your storage needs will be you should be able to find a storage bench to meet those requirements. Some come with doors and drawers to keep things hidden and allow for easy, organized storage of smaller things. 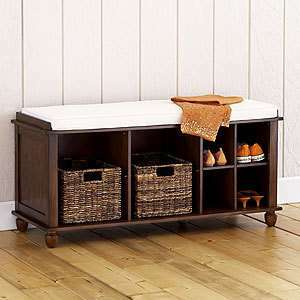 Another common design for a mudroom bench is one that is designed like a chest with a hinged top. This creates one big space for some bigger items to be placed in and is great for placing children’s outdoor toys.